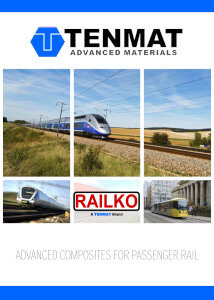 TENMAT high-performance bearings are lightweight and thus widely used by all leading locomotive manufacturers in demanding applications such as, suspension bushes, suspension washers, centre pivot plates, side sliding plates and engine coupling washers. RAILKO and FEROFORM materials excel in very difficult working environments, even in high salt and dust concentrations along coastal lines and in arid desert. 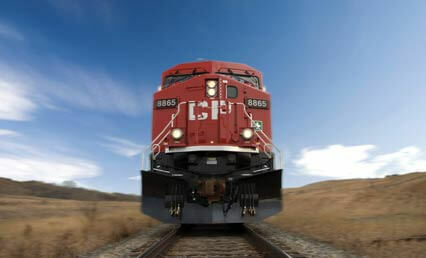 TENMAT components give full protection to vital parts in locomotives, helping to maintain high efficiency and performance levels across the 40 year lifetime of a locomotive. Moreover, they are lightweight , 1/3 the weight of steel parts, and thus greatly reduce fuel consumption. FEROFORM T814 is the leading bearing solution for replacing metallic bearings with a lubricant free solution for locomotives. FEROFORM T814 will not seize or pressure weld. Its dry running capability minimises maintenance requirements.